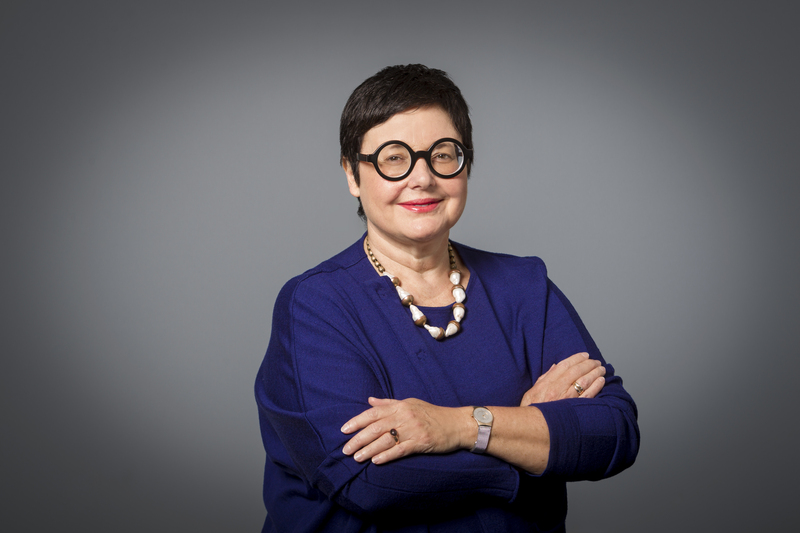 In 2018, Pip Nicholson was appointed Dean of Melbourne Law School. Previously, Pip served as Director of the Asian Law Centre while also directing its Vietnam Program. Pip holds a BA/LLB, as well as a PhD from the University of Melbourne. 1. In Sheryl Sandberg’s book, Lean In, she argues that there are barriers in the workplace which still prevent women from taking up leadership roles. How does the law school mitigate these barriers? I think the university works very hard to try and reduce the barriers that adversely impact women in their careers. This work is not complete and we should not be complacent, but parts of this university started working on these issue a long time ago. The law school is one of the places where there was an extraordinary activism to enable staff to succeed whatever the personal attributes with which they travel, including gender. Having feminists who questioned structures and asked how structures or systems excluded women meant that MLS adapted some practices and policies, for example, twenty-five ago. The activism by women at MLS has seen cultural, practical and policy change that has enabled women here. By way of example, a great impediment for female academics was the requirement that you go overseas every three years to take sabbatical. This was not easy to do with a family or with a working partner. It was a model that was established when there were largely single income families. Dependents, either spouses or children, were expected to travel or stay at home with a “carer” parent. When Deputy Dean, Jenny Morgan, worked with others to be able to approve sabbatical without the need to be abroad for 3 months. Effectively the need to uproot family and ask your partner to give up work was removed. There is now more flexibility around this structural impediment for working academics. Working remotely is also opening up extraordinary opportunities for the entire workforce. It will be interesting in ten years time how this is integrated more widely across the university. At the moment, many academics will work from home either one or two days a week but this is often opportunistic. In the future, I imagine we will better take advantage of some of the opportunities that technology is affording us and make structural changes. 2. You have a background in the Vietnamese legal system and you were also Director of Melbourne’s Asian Law Centre. Why is it important to have a global legal awareness? I think it is critical to have a global legal awareness, but not at the expense of an awareness of legal institutions locally and nationally. When this Law School was established, 161 years ago, it was a law school for the state. After federation, and as the legal system developed, a national legal teaching and research program was essential. Finally, as the world has shrunk around us, we have been acutely aware of the need to be an outward looking law school. We teach and research private and public international law, the different legal systems of the Asian region and laws in Europe also. We can be absolutely confident that our graduates will work in all these fields. We enable an extraordinary breadth of opportunity to match students’ interests. On a personal level, my father was a diplomat and I was born in Thailand to a family who was at the time living in Phnom Penh. I first went to Vietnam in 1992 at the invitation of a friend who was an economist. He rightly counselled that Vietnam’s introduction of its Renovation Policy, in 1987, would have extraordinary legal reform consequences. I was lucky enough to obtain an internship with LEADCO in 1992, the first licensed private law firm in Vietnam. I spent 6 months with them in Hanoi. At that time, there were only about half a dozen of foreign lawyers living in Hanoi. In the 25 years since then, the legal system and the laws have been utterly transformed. The scale of reform is very hard for those living in a democratic state to imagine. My particular interest was dispute resolution and the court system. These systems struggled (and continue to adapt slowly) with reform, partly because they are integral to the political system. Going to Vietnam was a life changing opportunity. Who would have known that I would then come back and do a masters in public policy at ANU? And then return to Melbourne to do a thesis on to what extent the Vietnamese courts diverged from their Soviet counterparts? Had I not gone to Vietnam as an intern, none of that would have happened. You make these decisions when you’re young and have just graduated, and they may open up a lifetime of learning and opportunity. I do believe in happenstance and I’m a big believer in taking risks. Take an opportunity and see where it takes you. 3. What is your favourite memory of Melbourne Law School? One is Robin Sharwood’s history classes. He taught international legal history and specifically the founding of the United Nations. He had this click button slide projector, and in those days, this was innovative teaching. He was a formidable storyteller and very inspiring. He was challenging us to think about the consequences of designing new institutions in particular ways. A challenge that I have embraced in working on legal reform in Vietnam, for example. One day, Dr Sharwood summoned me to his office and asked me to read my exam paper to him. I admitted that I had trouble reading it and he said well imagine how your examiner is suffering! I learned I had to write more legibly. I remain inordinately grateful to Robin for the care he demonstrated in taking the time to point out my illegible writing. He advised me during my doctoral studies also. I had always been a keen history student and I did come back to history with my doctoral studies. It is Robin’s picture that I walk past on the way to my office each morning. I am reminded of his generous spirit, sense of history and its importance, and his courtesy every morning.